I love eating mochi because of it's chewy texture and have always thought that it would be most difficult to make. When I did find out how easy it was and with so few ingredients, I could not help by giving it a try. I used strawberries and azuki bean paste as the filling and to me it so resembles Japanese desserts. 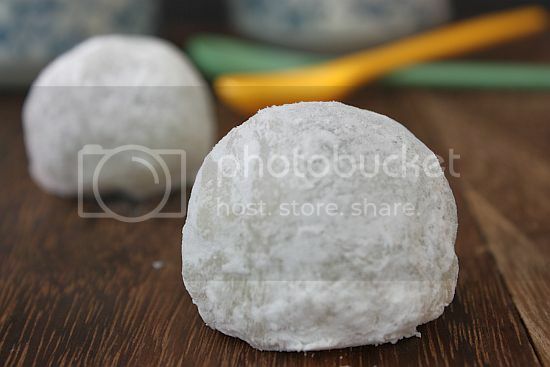 I can once you have mastered a perfect mochi, you could put any type of filling inside. The possibility of different flavours is pretty much endless I think! 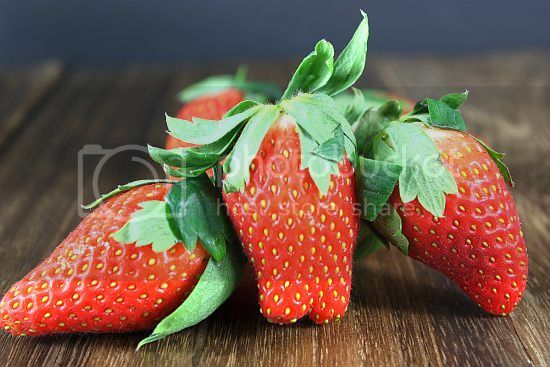 1) Wash strawberries and remove the calyxes. 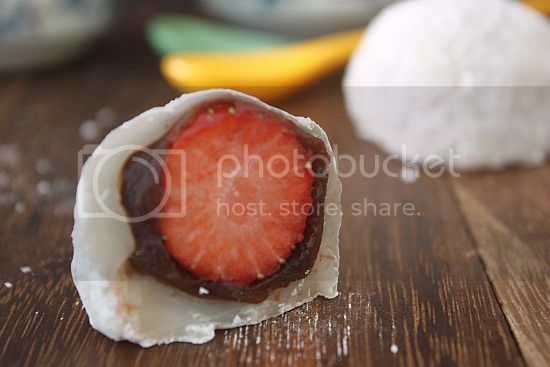 Wrap a strawberry with about a spoonful of adzuki bean paste and rounds to make a ball. Make 6 to 8 balls depending on the size of your strawberries. 2) Put 2/3 cup of water and 1/4 cup of sugar in a microwave bowl and mix well. Add glutinous rice flour in the bowl and mix well. Put the bowl in microwave and heat the dough for two minutes. Remove and stir quickly. The dough will be somewhat heavy and very sticky. 3) Dust a flat tray with corn flour. Also, dust hands with some flour. Remove the hot mochi from the bowl to the pan by hands. Dust hands with more flour and divide the mochi into 6 to 8 pieces, depending on the size of the strawberries.. The mochi is hot and sticky, so be careful not to burn your hands. Make 6 to 8 flat and round mochi. 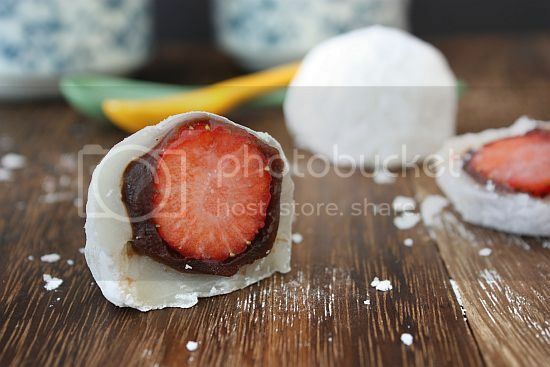 4) Put a piece of strawberry and adzuki filling on a mochi piece and wrap it by stretching mochi. Pinch the ends tightly to ensure that they stick together. Lay each mochi, seam downwards, onto a plate lightly dusted with cornflour Repeat the process until all the dough has been used up. Jo the mochi looks so yummy, wish you a Happy Lunar New Year, Gong Xi Fa Cai! Jo, ichigo daifuku is a fave wagashi of mine! Anyway, gong hey fatt choy! Happy Rabbit Year! MMMMMMMM,..these balls are all filled up with strawberry goodness! I moved my blog to wordpress.com/ Come over @ my blog & check it out! You must update your RSS too! I like mochi too! Looks so good with the strawberry and aduki filling..Happy Chinese New Year! My favourite kind of mochi. Never got around to make them at home but staring at yours made me want to make them now!! Hello, I stumbled across your blog whilst looking for ideas on cake decorating and making fondant roses. I played the link you had from you tube and have had a go at making some. I also love baking and other crafts. Although at present baking is a priority. I think your blog is wonderful and colourful and if you don't mind would like to pop along again soon. very pretty with the strawberry inside. Happy rabbit CNY! i've always love to eat it. the step to make the mochi sound so tricky and not easy! those you made look really YUMMY! !